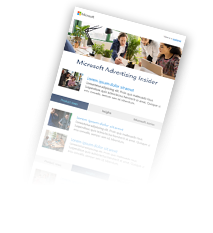 The world is no longer restricted to buying locally; today's discerning consumer is travelling the world via the web from the comfort of their sofa to find unique products at the best price. Borders don’t apply online and international shopping is on the rise. 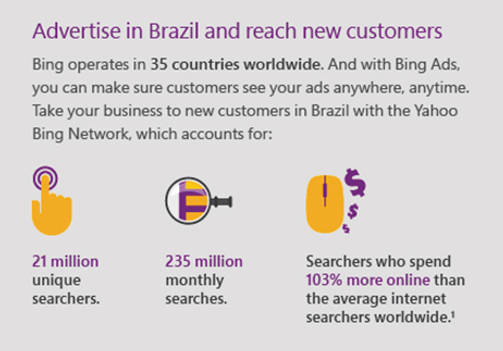 With numbers like this, there's a good chance you'll see better results, more sales and more traffic with Bing Ads in Brazil -- if you ship internationally, then it certainly could be worth running a test campaign to see what your return on investment would be. In addition to information on the Brazilian market, the full version of the infographic that this info on Brazil was pulled from will also provide you with 3 easy steps to set up a international campaign, as well as some tips for how to build a successful campaign in markets outside of your own. Questions, comments? Feel free to ping us on Twitter.